2006 – 3rd Prize, 8th Panasonic Contemporary Art Exhibition. 2007 – Outstanding Prize, the 9th Panasonic Contemporary Art Exhibition. 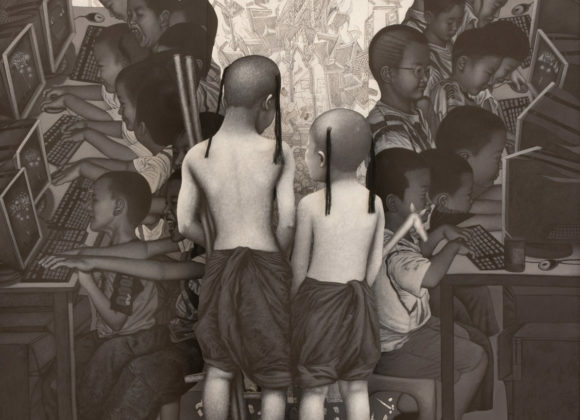 – 1st Prize, “Mong Singha Pan Silp”, 75 th Anniversary of Singha Corporation Co., Ltd.
2008 – Outstanding Prize, the 10 th Panasonic Contemporary Art Exhibition. – The 2 nd Prize, The Fourth Amata Art Award. 2010 – Distinguished Prize the 25 th PTT Art Exhibition. 2013 – The Excellent Prize is awarded By Thai Beverage public Company Limited. 2014 – Honorary mention prize the white elephant art award.